Michelle Würtz November 23, 2017 Comments Off on Best Paper Award goes to Linz et al. 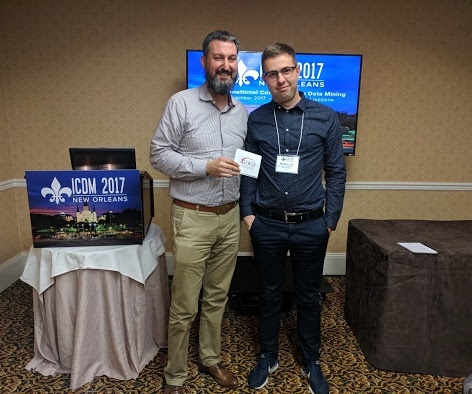 For the paper titled “Predicting Dementia Screening and Staging Scores From Semantic Verbal Fluency Performance” DFKI members Nicklas Linz, Johannes Tröger and Jan Alexandersson were awarded with the Best Paper Prize at the IEEE International Conference on Data Mining series (ICDM) in New Orleans. The conference is known as the world’s premier research conference in data mining with many international speakers presenting their research results. During the workshop on data mining for Ageing, Rehabilitation and Independent Assisted Living (ARIAL) the paper by Linz et al. and five other research papers were presented.